If you’re concerned with cleanliness, especially if you suffer from allergies and/or asthma, a steam washer is a no-brainer. Why? Gaseous water molecules (aka steam) penetrate the tightly woven fibers of clothing more effectively than water droplet molecules — which are much larger — and lift out stubborn stains and odors and eliminate most allergens, leaving you with brighter whites and more vibrant colors than a standard wash cycle. Steam also takes less time to do a better job, because it reaches higher temperatures more quickly. An internal steam chamber superheats incoming water into vapor and introduces it in the middle of a wash cycle for about 20 minutes. 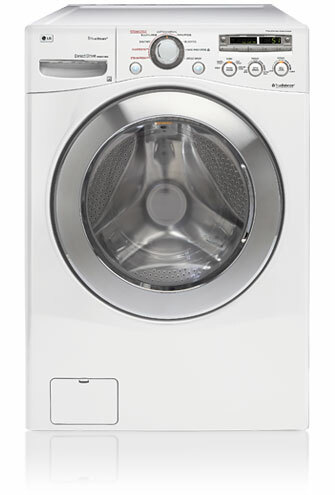 I talked about steam dryers’ ability to refresh clothes, but some models — like LG’s TrueSteam — has a steam refresh cycle in the washer to reduce wrinkles and odor without actually washing the clothes. The LG steam washer is also the first washer certified “asthma and allergy friendly” by the Asthma and Allergy Foundation of America, because its Allergiene Cycle is proven to remove 95% of household dust mites and domestic animal dander. Previous MN residents: You can get WI stimulus money — now!